ISBN 0825617111. With solo part and piano accompaniment (spiral bound). Baroque and Classical Period. 9x12 inches. Over 65 favorite violin solos with full piano accompaniment and a matching solo part, phrased and fingered for the violinist. 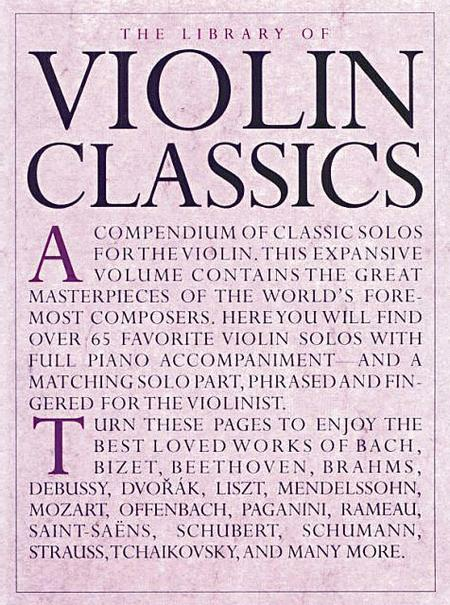 Includes the best loved works of Bach, Bizet, Mozrt, Paganini, and many more. Pizzicato D Major, composed by Leo Delibes, From 'Sylvia'. Soldiers' Chorus Bb Major, composed by Charles Gounod, From 'Faust'. Solveig's Song A Minor, composed by Edvard Grieg, From 'Peer Gynt Suite No. 2'. Anitra's Dance A Minor, composed by Edvard Grieg, From 'Peer Gynt Suite No. 1'. Andante G Major, composed by Felix Mendelssohn, From 'Violin Concerto'. Nocturne E Major, composed by Felix Mendelssohn, From 'A Midsummer Night's Dream'. Barcarolle D Major, composed by Jacques Offenbach, From 'Tales Of Hoffman'. Melody D Major, composed by Niccolo Paganini, From 'Violin Concerto'. The Young Prince And The Young Princess G Major, composed by Nikolai Rimsky-Korsakov, From 'Sheherazade'. The Swan G Major, composed by Camille Saint-Saens, From 'Carnival Of The Animals'. My Heart At Thy Sweet Voice Eb Major, composed by Camille Saint-Saens, From 'Samson And Delilah'. Soldiers' March G Major, composed by Robert Schumann, From 'Album For The Young'. First Loss E Minor, composed by Robert Schumann, From 'Album For The Young'. The Wild Horseman A Minor, composed by Robert Schumann, From 'Album For The Young'. The Happy Farmer G Major, composed by Robert Schumann, From 'Album For The Young'. La Donna E Mobile G Major, composed by Giuseppe Verdi, From 'Rigoletto'. Bridal Chorus Song Bb Major, composed by Richard Wagner, from 'Lohengrin'. Composed by Johann Sebastian Bach (1685-1750) and Johann Sebastian Bach (1685-1750). This edition: pamphlet. Score and parts. Published by Library Commerce (LC.39087017829633). 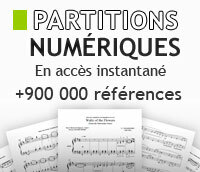 For Violin and Piano Reduction. By Wolfgang Amadeus Mozart. String. 104 pages. Published by G. Schirmer, Inc.
Classic String Quartets for Festivals, Weddings, and All Occasions (2nd Violin). Classic String Quartets for Festivals, Weddings, and All Occasions (1st Violin). For Violin, Piano Accompaniment. Romantic, Classical. Sheet Music. 48 pages. Published by Music Sales. Composed by Ludwig van Beethoven (1770-1827), arranged by Brodsky. Set of performance parts (includes violin book and piano book) for violin and piano. Schirmer Library Vol.232. 256 pages. Published by G. Schirmer, Inc.